Located around 100km to the south of Hà Nội, Ninh Bình Province hosts spectacular karst mountains reflected on rivers. 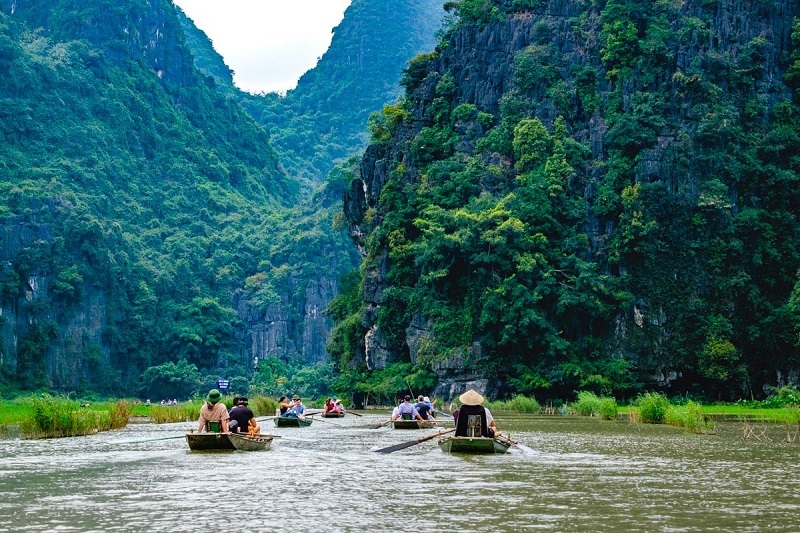 The most beautiful site may be Tam Cốc with mountains, caves and cliffs sprouting along gentle Ngô Đồng River. The site has been dubbed the "Halong Bay on land". In recent years, Ninh Bình has shined brightly on the world’s tourism map with millions of foreign visitors each year. Most of the tourists cannot help but be "wowed" by romatic and splendid landscapes at a series of sites like Tràng An, Tam Cốc-Bích Động and Vân Long marsh land. Tourism sites in the province can be visited all year round with special beauty each season. The beginning of spring and beginning of summer are considered the best time to tour around the province. In the first period, the weather is neither too cold nor too hot, and a fresh landscape full of energy is suitable to those who like travelling and visiting pagodas. In the second period, from April to June, one should visit the province to enjoy the season of the butterfly. The best place to see butterflies is Cúc Phương National Park, which is decorated with thousands of colourful butterflies flying in sunshine. The end of butterfly season is the beginning of harvest season with a carpet of mature rice in Tam Cốc. Immense fields of yellow rice stretch to the feet of the karst mountains. The aerial scene from some peaks may be breathtakingly beautiful. Mature rice season lasts until the end of June. For the rest of the year, Ninh Bình’s landscape boasts great potential for photo hunters. 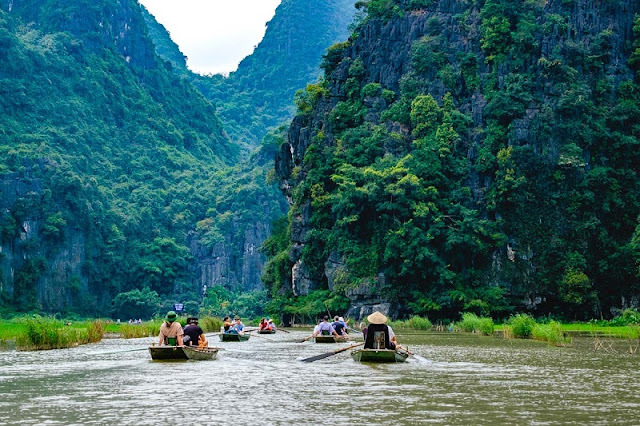 Ninh Binh tour are also very attractive to tourists whenever there is a holiday in Vietnam.